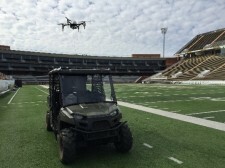 Hoverfly Tether-Powered UAS Receives High Marks From Nations Leading Research Lab Devoted to Spectator Sports Safety and Security | Company Newsroom of Hoverfly Technologies, Inc.
UAS tether technology solves problem with safety, short flight times and FAA fear of fly-away drones. 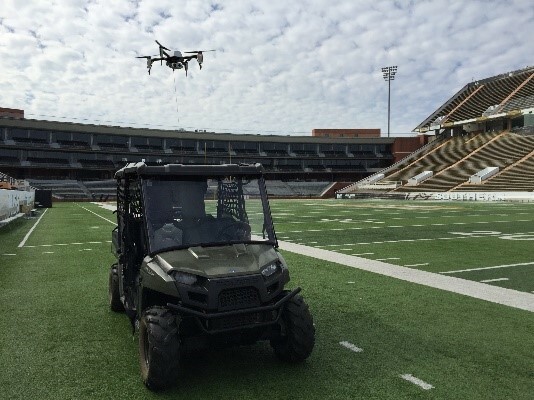 Orlando, FLORIDA, June 28, 2018	(Newswire.com) - ​​America’s leading tether-powered drone manufacturer is pleased to announce that its LiveSky™ Secure Plus Tether-Powered sUAS has successfully completed lab testing at the world’s leading institution for Spectator Sports Safety and Security. 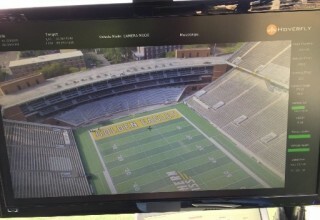 Hoverfly is the first sUAS company to undergo lab testing and evaluation by The National Sports Security Laboratory (NSSL) established by the National Center for Spectator Sports Safety and Security (NCS4); an organization dedicated to spectator sports safety and event security. 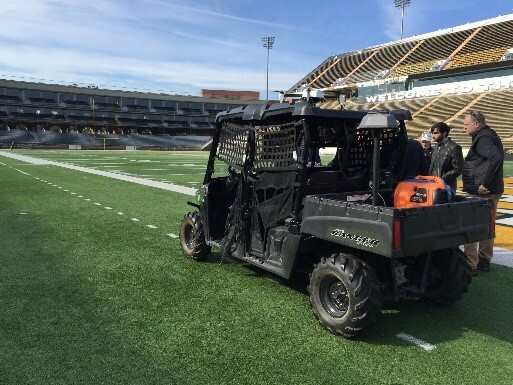 The purpose of the NSSL is to assist sport and event venue operators in assessing and validating systems and technologies for safety and security use. The evaluation program follows principles currently adopted by standard DHS validation programs that are meant to assist end operators with objective, quantitative reviews of available commercial systems and solutions. “We were delighted to receive such high marks in the NSSL’s lab test and evaluation report” says Hoverfly Senior Vice President of Solutions Lew Pincus. 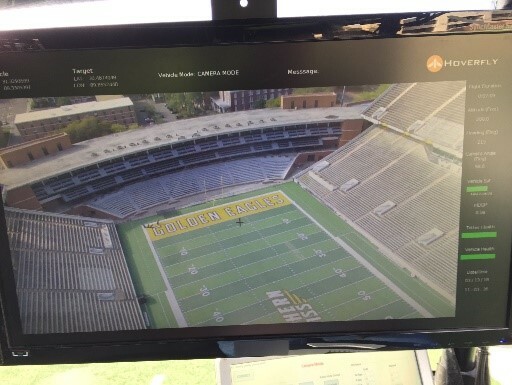 “Our LiveSky Tether-Powered UAS allows stadium and event managers, law enforcement and emergency responders to have a safe and reliable new tool to discretely maintain persistent perch and stare intelligence and evaluate crowds in real time from 200’ above the scene. And, the best part is the system can fly safely for hours even days at a time, deploys in minutes, is easy to use, requires no piloting skills and is completely mobile” says Pincus. The LiveSky Tether-Powered Unmanned Aerial System is next generation aerial technology providing tether-power coming from a standard ground or mobile power source making short battery-powered flight time no longer a concern. With its simple 5-button operation, precision landing and network interoperability operators can easily fly, land and distribute its high definition h.264 secure video feeds to all stakeholders in real time. 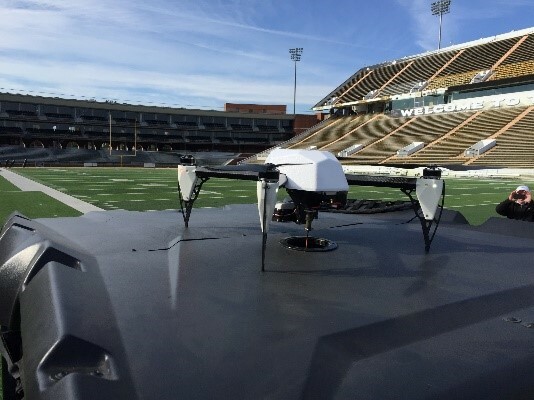 “Hoverfly’s system was evaluated by a select group of subject matter experts (SME’s) from sports security including the NFL and information technology domains. 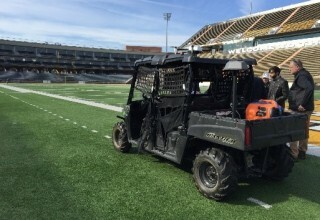 The collective group of SME’s had a base of experience that encompassed collegiate and professional sporting and major event safety and security operations. Part of NCS4 and NSSL’s mission is to assess and provide technologies that have been and vetted for use by our members. This process allows us to evaluate, score and publish lab tested results to subscribers of NCS4 publications and the U.S. Department of Homeland Security” said Executive Director of NCS4 Dr. Lou Marciani. For more information about this 25-page lab test report please visit NCS4 at the University of Southern Mississippi www.ncs4.com or Hoverfly Technologies, Inc. at www.hoverflytech.com. 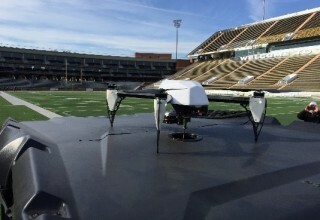 Hoverfly Technologies Inc. (www.hoverflytech.com) is the de-facto leader in professional tether-powered UAS platforms and persistent airborne solutions for defense, security, and public safety customers. Hoverfly is the designer and manufacturer of the LiveSky and BigSky branded persistent aerial drones, which fly day and night for days and weeks at a time on tether-power. Hoverfly drones collect persistent wide-area airborne HD video and deliver airborne communication and wide-area networking solutions. Hoverfly solutions are RF secure and can operate from both from vehicles or vessels while “on the move,” and from fixed- base installations using local or remote control over a network. Hoverfly products fly automatically and don’t require any piloting skills, making them suitable for all types of users, applications, and missions. 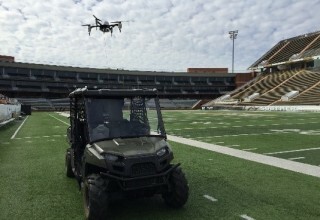 Founded in 2010, Hoverfly UAS solutions are designed and built in the U.S.A.
America’s leading tether-powered drone manufacturer is pleased to announce that its LiveSky™ Secure Plus Tether-Powered sUAS has successfully completed lab testing at the world’s leading institution for Spectator Sports Safety and Security.